While DSLRs and new mirrorless cameras undoubtedly take the highest quality images, they also cost thousands of dollars and require expensive accessories. They also require extensive knowledge of cameras and photography to be useful. Many people enjoy photography and want to take nice photos without having to get a photography degree. This is where point and shoot cameras come in. These cameras are high performance at a lower price point. That is demonstrated by the fact that all of the cameras represented on this list cost under $300. We’ve ranked the best digital point and shoot cameras under $300 for different situations. We’ve provided the information at the end to help you find the right camera for you. What Makes this Camera Our Top Pick? This camera is generally considered to be a bridge camera between basic point and shoot cameras and DSLR models. It is one of the best value cameras under $300 currently on the market. Unlike most other cameras at this price point, it can shoot Full HD video. That is a great feature if you plan on using this camera as your travel camera. The lens has 40x optical zoom. Digital zoom doubles that range, allowing you to zoom up to 80x. While there isn’t a manual control mode, there is an impressive number of shooting modes. The SnapBridge technology allows you to maintain a Bluetooth link to your phone and send images as you take them. This camera also has bonus features that many cameras lack. Those include Wi-Fi connectivity, a tilting 3.0 inch LCD screen and 921k-dot resolution on the screen. The fact that it is a mid-sized camera even though it is considered a bridge camera makes it portable even though it isn’t the smallest option. The chunky grip makes it easy to hold. It gives it a secure feel. In addition, the tilt screen is useful for awkwardly angled shots. Even though you can’t change the shutter speed or aperture, you can change the ISO sensitivity and white balance if you want to. Photographers who want more of a point and shoot experience can leave these settings in automatic mode. You can also change the autofocus setting so that you can choose your own focal point. 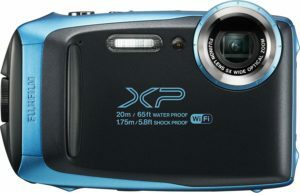 This is one of the best value point and shoot cameras. There are a number of fun extra features that make this camera a particularly good deal and a fun piece of equipment for new photographers and enthusiasts alike to play with. One such setting is a Creative Mode. With that one, you choose from different sets, take a photo and the camera applies four different filters to the shot. Some of these sets include Light, Memory, Noir and Classic. Overall, this camera performs well in a variety of situations. It is an exceptional value for the $250 – $299 price range. It gives photographers some of the functionality of a DSLR. That is all while retaining the benefits of point and shoots. This enables them to take more specific, high-quality images in a number of situations. These range from tightly focused macro shots to wide, sweeping landscape photographs. One of the biggest criticisms was the use of AA batteries. That is because it can be inconvenient to carry extras. There is a somewhat significant cost associated with purchasing new batteries over and over again over the life of the camera. If you plan on using your camera a lot, it may be cheaper to purchase a slightly nicer camera at a higher price point than purchasing replacement batteries over the lifetime of the equipment. Reviewers liked the zoom range, which combines optical and digital zoom efficiently. They also liked the large sensor on the camera. If you want value and performance, this is a great choice. Bridge cameras like this one allow you to get more camera for your buck. However, some people simply want the basics without additional functionality and fuss. If you fall into that category, you will likely prefer a smaller, slimmer camera that doesn’t have extra features like this one. If you want to use the flash, you have to push the flash release button. Otherwise, it won’t automatically pop up, no matter what mode you have the camera in. When you’re finished, you push it back down. This is annoying if you have used cameras that do this automatically. However, it is relatively easy to get used to. Many photographers also hate the fact that this camera takes AA batteries. It means that you have to purchase replacements and carry extra batteries. On the plus side, however, you can almost always find more batteries when you’re out. You don’t have to find an outlet and wait for your battery to charge if the camera dies. The size is too big to carry in a pocket. However, the camera is still small enough that it will fit in most purses. For those looking for a cell-phone sized camera for basic photography, though, this may not be the ideal choice. The camera focuses pretty quickly in decent light. But it can take a couple of attempts to focus correctly in Macro mode. It is also much slower in low light. It becomes particularly cumbersome when trying to use the additional video features in low light. Panasonic took a risk in reducing their sensor resolution when they designed this point and shoot camera. But the choice paid off because the result was a compact, superzoom camera that performs better in low light and delivers consistently high-quality images. The added, rare functionality of RAW shooting means a lot of the issues that may result from having a smaller sensor can be corrected if photographers want to play with their images during post-processing. 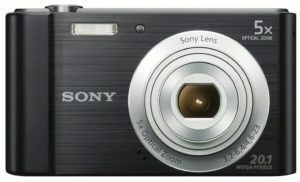 Even though this camera has a strong 30x optical zoom, it can still fit easily in a purse or pocket. At 2.5 by 4.4 by 1.4 inches and at only 8.6 ounces, you’ll barely notice this camera if you carry it on long days or during travel. The camera comes with image stabilization. That allows photographers to hand hold the camera even at the longest optical zoom. The control ring on the lens and flat control dial on the back of the camera make it easy to control the settings and use the camera in changing situations. The LCD screen is 3 inches wide. It is slightly less sharp than other cameras on this list. Unlike other point and shoot cameras, this camera has an electronic viewfinder. It allows you to frame shots easily in bright situations where it is more difficult to see the LCD viewscreen. The Wi-Fi capabilities are also convenient, as you can transfer photos straight to your phone. Reviewers were very happy with this camera. They found it to be an extremely high-performing point and shoot camera. Panasonic took risks in designing this camera, giving it 12 megapixels in a market where most of the competing cameras have 20, but these risks paid off as the camera performs notably better in low light situations. The camera has a sleek, retro design without a lot of colorful labels. The design is clean, with no parts that could get caught on straps in your purse. It has a rubberized grip on the side to make it more comfortable to photograph with. The electronic viewfinder is also a nice touch for bright situations. It adds to the attractive design of the camera. The battery life is better than with most other point and shoot cameras. In addition, the manual controls and the ability to shoot in RAW are unique and useful. Images tend to have less noise and a better overall appearance than other similar options. The expansive zoom makes this an excellent choice for travel. The camera also has a fast, robust autofocus system that is pretty reliable in a number of situations. Overall, reviewers noted that this is a great option for new photographers or travelers who want a camera that is a step up from their smartphone or instant camera but isn’t as big of a commitment as a professional DSLR camera. Reviewers noted that they wished this camera had a touchscreen LCD display on the back. The 3-inch screen is a little large for a standard screen. The displays are easy to use and streamlined, however, which helps offset this. The 300-shot battery expectancy is better than most point and shoot cameras. However, this may not be sufficient if you are using it during travel. Because of this, we recommend purchasing a second battery and carrying it with you fully charged. Annoyingly, the external charger is sold separately. But it isn’t expensive enough to price this camera out of consideration. The camera’s five-axis anti-shake system is particularly robust for a point and shoot camera. It bumps this camera up on our list. It is high performing enough that you can hand-hold this camera even when the lens is fully extended. This camera doesn’t have GPS, which is a little bit of a downside if you plan on using it for travel. If you back up your photos and note where they were taken regularly though, this won’t be a big issue. One of the best features of this camera is its size. At just 1.4 inches thick, this camera can fit in almost any pocket, camera backpack or bag without difficulty. That makes it one of the most portable cameras on this list. Despite this small size, the Canon PowerShot SX720 HS still retains a powerful zoom, at 40X. That makes it equal with the Nikon COOLPIX B500. 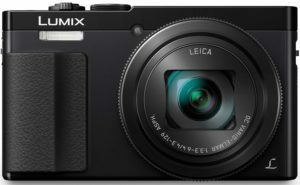 The zoom and compact size make it a particularly good contender for a travel camera. You will barely notice you are carrying it. It still allows you to shoot close-up images of things you can’t reach on foot. The 20 Megapixel feature also yields high quality images in well-lit situations. It struggles in low light like other cameras in this class. However, it creates consistently high-quality images in a range of scenarios. It includes several special effects shooting modes that are fun to play around with. Interestingly, Canon also decided to add a full manual control mode to this Coolpix camera. That is great if you want to start learning more about photography without committing to a DSLR camera. The Canon also performs well in burst mode. It can capture as many as six frames per second for several seconds before the memory buffer area fills up. This is unusually high for a point and shoot camera. It allows you to capture some wildlife or action shots. That is another positive mark for using it as a travel camera. Overall, reviewers rated this camera as reliable and high-performance for its class. They appreciated the additional features that many other point and shoot cameras lack. 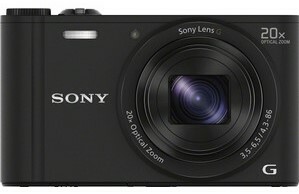 Those include a long optical zoom, a good burst shooting mode and full manual mode. Despite these additional features, the camera is still just 1.4 inches thick. That was another feature that reviewers loved when looking at this camera. The zoom is a pleasant surprise. It is the most powerful zoom in a camera this thin. 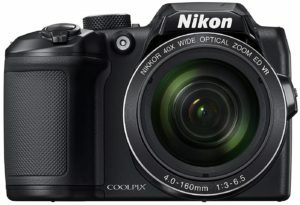 Most cameras that have 40x optical zoom are closer in size to the Nikon COOLPIX B500 or larger. That makes the Canon unique. This enables photographers to take higher than normal quality images, particularly while traveling when photographers need to use their camera in a number of different situations. One thing reviewers didn’t love was the camera’s performance in low light. It could have been better. Relative to other point and shoot cameras, though, the difference in low light is relatively minor. Photographers who plan on primarily shooting in low light situations should consider getting a DSLR or another more expensive camera. Reviewers liked the fact that the camera comes with a full manual mode. That makes it an excellent tool for photographers looking to learn more about using these features and potentially growing into a DSLR camera. While the image quality is pretty high, the sensor is only 1/2.3 inches. That is pretty small. This means you won’t be able to make very large prints without seeing the quality suffer significantly. There is also no ability to shoot in RAW, which should be noted is normal for point and shoot cameras. The zoom is great, but without image stabilization it is hard to use the camera at its maximum zoom. So you may need to use a portable tripod if you want to use it at 40x zoom. The price point is a little high to have an LCD screen without touchscreen capabilities. However, the LCD screen is noticeably sharp and bright for such a small camera. The biggest consideration here is the small sensor. That means that you cannot take images that will print at a large size. If you are planning on using this primarily as a travel camera and you want to use the images in social media or to create scrapbooks, you should be fine. If you want to print one or two images larger to go on your wall, you will need a camera with a larger sensor. These features are offset if you want a point and shoot camera with faster than average features like autofocus and burst mode. There is minimal shutter lag. That helps minimize the chance that you’ll miss a spontaneous photo because the camera didn’t respond fast enough when you pressed the shutter button. This camera is ideal for people who tend to shoot in action situations or settings where weather or water may be a factor. The camera is waterproof down to 20 meters. It is shockproof up to 1.8 meters, or 5.7 feet. This means you can take it snorkeling or drop it. You won’t have to worry about it breaking immediately. The camera also comes with a face detection focusing feature and image stabilization. That helps it to perform well in a multitude of different situations, including action activities like white water rafting. The camera is also pocket-sized and is lightweight enough that you won’t notice it on long trips. The sensor is pretty standard for a point and shoot lens. In addition, the 5x optical lens is pretty good considering how robust this camera is. In addition to being drop-proof and waterproof, the camera is freeze-proof up to 14 degrees Fahrenheit. The Fujifilm Finepix XP130 also comes with some fun additional features. Those include built-in Wi-Fi capabilities and the ability to record video up to 1080p60. Unlike the XP120 that was released a year before this one, the XP130 also has Bluetooth connectivity, which saves battery during automatic transfers and enables you to set the cameras clock based on your phone’s clock. There is also an electronic level that helps you keep the horizon straight when you’re composing images. Waterproof cameras have come a long way since they were first released. This Fujifilm is particularly high-performing for a camera in this category. The camera has a pretty standard sensor for this size camera. It has a good number of megapixels. That allows it to yield good quality photos pretty consistently. The real star feature of this camera is the weatherproofing, obviously. The camera can be dropped from a decent height, submerged in water at a pretty great depth or frozen and still perform well. It is amazingly robust for such a traditionally delicate piece of technology. The XP130 is pretty similar to the XP120 that was released in 2017. However, it has a few additional features. One of these is the eye detection feature that helps the camera autofocus on faces and prioritize eyes as being in focus. This can save a lot of photos that would otherwise be slightly misfocused. It isn’t quite as compact as the Canon. However, it is still considered compact and can easily fit inside a pocket. The design is fresh, with splashy colors like yellow and blue available in addition to more discreet black or white. While the zoom is relatively smooth, it struggles a little more when filming video. On the downside, the lens is slow compared to other point and shoot cameras. It struggles in the evening or at night. The photos aren’t as sharp as with other cameras. But they are generally more than sufficient for most people’s needs. The screen is large and bright with a sharply focused display. However, the camera doesn’t come with a touchscreen, which would be nice for the size. While the resulting images aren’t low-quality, they could definitely be improved significantly. The automatic exposure functionality often miscalculates situations, even on bright clear days outside. Even though photographers can fix these issues with relative ease during post-processing, the point of a point and shoot camera is not to have to have extensive photography knowledge, so it would be nice to be able to take a photo that is good enough that it doesn’t need to be edited on your photo editing monitor. Taking several shots can help correct this in the second or third photo though. The fill flash works better than most built-in flashes, filling in shadows without blowing out highlights. While there is some control over settings like being able to set the ISO up to ISO 6400 manually, most of the features only work on manual. It also struggles in low light situations like most point and shoot cameras do. While there are a number of fun modes you can choose from, like underwater, underwater macro, portrait, sport, night and party modes that work decently, there are also a number of modes that struggle under any circumstances. Panorama and cinemograph modes are sluggish, and the burst and time-lapse modes are just OK. This is offset by the price, size and weatherproof functionality. The two things that make this camera particularly noteworthy are the advanced sensor and the extremely low price. This is definitely the cheapest camera from a top five manufacturer on the market and is the only camera under $100 on this list, and it still performs relatively well for the cost. While it struggles in extreme lighting situations whether they are high light or low light, the sensor type enables photographers to capture images that are consistently better quality than you would expect. The lightweight, compact nature of this camera also makes it ideal for travel, and the ability to charge through USB make it easy to charge on the go. With the memory card and battery, the camera weighs just 4.4 ounces, making it the lightest camera on this list. The LCD screen can be difficult to see in bright sunlight, but this isn’t abnormal for point and shoot cameras. The controls are organized logically, and the lens retracts to be almost flush with the front of the camera, meaning pieces won’t get caught on your pocket or on things in your purse when you try to retrieve it. The autofocus performs well in good light, and the 5x optical zoom is decent for a point and shoot camera. Overall, this camera is an excellent value for the low price. 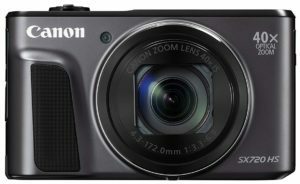 Reviewers were very happy with the robust features for the incredibly low cost, and since this camera is made by a reliable brand, it holds up well over time. It is the cheapest, lightest-weight camera on this list, and still performs well enough to be a serious contender with the other, more expensive options that we chose. The camera’s design is sleek and relatively durable. Since it is made of plastic, you have to be slightly more careful with its care than cameras with a metal body, but the plastic is high quality and crack-resistant. The front does have a metal effect brushed on, so it looks like it costs much more than it does. The battery life tops out at about 200 images. While this is average for a point and shoot camera, we still recommend carrying an extra battery in case yours dies while you are out and about. The autofocus is fast and reliable in decent light, but again struggles in low light situations. At such a low price point, there are definitely going to be sacrifices in technology and features. One area where this is noticeable is in extreme light situations. While most point and shoot cameras struggle in low light situations, this one also had difficulty in extremely bright situations. This is slightly offset by the fact that this beginner camera costs less than $100 though. You should also be mindful that the lens makes noise when focusing during filming, making this a bad choice if you want to do any filming beyond basic short clips. The lack of HD video abilities also rules this out if you plan on shooting significant amounts of video. This camera lacks a lot of extra bells and whistles like Wi-Fi connectivity and Bluetooth abilities, which is, again, not surprising for the extremely low cost. The camera also makes up for this by having other extra functionality, like panoramic shooting, electronic image stabilization and face detection autofocus. The LCD screen is definitely lower quality than other cameras, at just 2.7 inches wide and 230K dots. This doesn’t matter as much as the sensor or image quality and is an easy sacrifice to make when you consider the cost saved. This camera has a lot to offer when it comes to the point and shoot category of cameras. With a price tag that is still solidly under $300, this Sony camera delivers better than average performance in low light, a solid autofocus system and impressive video capabilities. The camera even includes stereo sound recording with wind noise reduction capabilities. The burst shooting mode is surprisingly fast for such a small camera, at 10 frames per second. The battery life more than doubles the average at 470 images. Its autofocus is reliable and almost never focuses on an unexpected area. The exposure system and white balance are also pretty reliable. They don’t struggle in high or low light situations like many other point and shoot cameras do. There are also some fun additional features. One of those is Wi-Fi connectivity. It allows you to transfer photos directly from your camera to your table or smartphone. The camera comes equipped with six shooting modes. Intelligent auto is the default mode. There is also a Superior Auto mode. That enables the camera to capture multi-exposure images. It increases the dynamic range of the camera in highly contrasting situations. Reviewers were impressed with this camera’s performance. It outpaces many competitors when it comes to white balance, autofocus, low light performance and image quality. Reviews did note that while the ISO sensitivity and white balance can be manually set, there is no option to manually adjust shutter speed or aperture. The iSweep panorama mode is fun to use, with the camera automatically stitching together a larger shot if you pan the camera up and down or left to right. The sensor is back-illuminated, which enables it to perform better in low light and yield higher quality images. The camera also comes with a new BIONZ X image processor that helps the sensor perform better and enables Full HD video to be recorded with stereo sound. There are also 13 creative effect filters that photographers will have fun playing around with for social media or just for creating interesting and unique images. The 20x optical zoom is also impressive for a point and shoot camera. While this camera is slower than most starting up, taking almost two entire seconds, it is only about half a second slower than most. This may be a little bit annoying, but most people likely won’t even notice the additional time required. Also, while the 10 fps burst shooting is impressive, the camera can only do this for one second at a time before the buffer fills up. This means you need to choose your timing well and make the burst count if you are in a situation where you want to use this functionality. While the optical zoom is impressive for a point and shoot camera, 20x ranks at 4 out of 6 on this list. Even though there are definitely options at a similar price point that have better optical zoom, this Sony does a good job of blending relatively high functionality across a number of features. This makes this camera pretty unique, as most of the other cameras on this list are really good at zoom or shooting in the water but struggle when it comes to other functionalities. The main goal here is to get the most technology for the lowest price tag. You want to target cameras that are inexpensive and high-value, not cheap. The best way to identify a compact camera that will take high-quality images is to look at the image sensor. Since this is the most expensive piece of technology in the camera, larger sensors generally mean pricier cameras. Point and shoot cameras typically have a sensor that will range between 16 megapixels and 20 megapixels. You can also take a look at the type of sensor that comes in the camera: CCD or CMOS. CMOS is less expensive to build and as a result is more commonly found in cameras that are more budget-friendly, but they can also struggle with image noise and have a lower sensitivity to light, making them perform poorer in low-light situations. If you plan on shooting at night or inside a lot, it may be worth your time to try to find a camera with a CCD processor even if the size of the sensor is smaller. If you’re unsure of your final selection, it’s a good idea to purchase it from a store that has a good 30- or 60-day return policy like Best Buy or Amazon so you can test it and return it if you aren’t happy with the images you take. Zoom is probably the most useful feature on standard point and shoot cameras, so you want to try to find a basic camera that has good optical and digital zoom. While these two types of zoom work very differently, they can both add important functionality to your camera. Optical zoom refers to the physical increase in the lens’s focal length, or the distance between the image sensor and the center of your lens. In DSLR cameras you can physically see this feature in zoom lenses, as the actual lens extends or retracts to get you closer to your subject or further away. Many basic cameras have the same ability on a much smaller scale, and the lens can extend or retract slightly when you use optical zoom. Digital zoom refers to the camera adjusting the image or cropping in closer to the subject. Digital zoom can be useful in getting you really close to a subject, but you lose quality the closer you go since you are zooming in on a photo and using fewer megapixels. Optical zoom tends to range from 5x to 42x on cameras that cost less than $300, and we recommend finding one at the higher end of that spectrum. If you know you plan on using your camera primarily for family photos or casual photos and you don’t tend to travel or find yourself in situations where you use zoom a lot, you may want to sacrifice zoom range for higher quality images though. Just as you would if you were buying a DSLR, it is important to find a camera that is durable and long-lasting. You don’t want a camera that will break the first time you bump it on a table, or it gets hit by a raindrop, so make sure you are purchasing a camera that is rated and reviewed as holding up well for a number of years. Many point and shoot cameras have different levels of waterproofing and dust- or shock-resistance. If you have an active lifestyle and plan take your camera when you go rafting through white water rapids or hiking in the rain, you definitely want to find one that is waterproof. Also, if you travel and find yourself in different situations where your camera may be exposed to extreme hot or cold, you should check to make sure the camera is resistant to extreme temperatures. Many cameras will come with a one-year warranty, or sometimes even a longer warranty. If you have an active lifestyle, it is a good idea to try to find one that comes with this feature so you can ensure it will hold up during all of your adventures. In considering the different cameras under $300, we tried to rank our top choices based on a wide spectrum of factors and features. We wanted to select cameras that would fit a range of needs but that were also all durable and high-quality enough to be useful to people whether they are new to photography or have a DSLR and want a cheaper camera option to take on travel. Here are a few of the main factors we considered when compiling this list. In general, we tried to find cameras that were excellent value and rated well in each of the above categories. The cameras we selected are generally portable, have larger sensors and good optical zoom. If cameras deviate from these features, we’ve specified why we thought they were worth including on this list. Bigger sensors mean more light and information can enter the lens, which will result in a higher-quality final image. As a rule, we tried to choose cameras with larger lenses and sensors, unless other features were good enough to offset the smaller sensor for photographers in certain situations. We also tried to balance this with the overall camera size, and selected cameras that could be easily carried in a purse or a pocket unless there was specific functionality that made the camera worth including anyway. Whether you like to take your camera to the beach or on hiking trips, or you primarily plan on using it when you’re with family, your camera needs to be able to survive a little moisture and dust. You also want to make sure it can withstand small drops. Even though everyone is careful with technology, we all drop our phone or small camera occasionally. Many point and shoot cameras are made to withstand moisture, dust, shock and high temperatures. Some are even made to be completely waterproof for a certain amount of time. This doesn’t mean that all cameras have weatherproofing, though. But we made sure to select cameras that did. Since there are two different types of zoom, and some point and shoot cameras even offer Superzoom, it can be difficult to tell if the zoom statistics on different camera models are good or not. Models can range from 24mm to 1200mm. The Superzoom feature complicates things even more. We tried to choose cameras that had useful zoom that didn’t degrade the quality of the images too much. This often meant prioritizing optical zoom over digital zoom. However, we still included digital zoom cameras that were rated as delivering high-quality images and balanced the zoom with a high number of megapixels. The zoom length you need will largely depend on the situations that you plan on using your camera for, with travelers needing longer zoom and family photographers needing less. Images are made up of millions of tiny dots of color and information that come together to create the final image. Images look pixelated when there are fewer megapixels, or dots, in the image and they don’t blend together as smoothly as they should. If a camera says it has 16 megapixels, then the final image will be made up of 16 million pixels, or dots. Megapixels contribute less to image quality than sensor size, but they are still important. We considered this feature second to the sensor size when compiling this list and tried to keep the megapixel range at 16 megapixels or higher. Cameras that cost under $300 are generally either small and portable enough to fit in your pocket, or slightly larger and need to be carried with a separate camera sling bag or shoulder strap. Unless the camera had significant features and particularly high value, we preferentially selected cameras that were more portable. These cameras tend to have a better overall balance and are streamlined so there aren’t lenses or external pieces that are likely to catch on anything or damage easily when the camera is turned off, making them particularly durable and reliable. Also, for comparable quality, a camera you can pocket that has a good-sized retractable lens, decent megapixels, good zoom and a sizeable sensor will be just as useful if not more so than a camera with similar statistics that is larger and looks more like a DSLR. What are point and shoot cameras? How do they differ from DSLR cameras? What are the top brands I should look at? What are the advantages of point and shoot cameras? What are the disadvantages of point and shoot cameras? Why do point and shoot cameras have so many different camera modes? Point and shoot cameras account for a considerable segment of the digital camera field and are popular among people who enjoy photography as a hobby due to their more affordable price tag and ease of use. Unlike DSLRs which require different lenses and intricate knowledge of the various settings, with point and shoot cameras you literally turn it on, point and shoot – it’s all in the name. The shutter speed, aperture, ISO, focus and other settings automatically adjust unless you select a mode that lets you prioritize one setting. Within this category, there are several subcategories that can be important and will definitely suit different needs better, including basic point and shoot cameras, superzoom cameras, super compact cameras, rugged or waterproof cameras and advanced compact cameras. While basic point and shoot cameras perform well, they are best suited for those who are happy with automatic features and don’t want to have to customize their settings. The other options get more specific and varied. Advanced point and shoot cameras are still compact and cost less than a DSLR but provide some of the advantages that come with more advanced camera bodies. They tend to offer manual control for aperture, shutter speed and ISO, and provide slightly better image quality than average fixed-lens cameras. Superzoom cameras offer zoom anywhere from 20x to 30x optical zoom, which enables you to get extremely close to subjects without losing quality like you would with digital zoom. These are good for people who want versatility, like travelers, as you can get wide angle shots or telephoto focal lengths. Finally, rugged point and shoot cameras are ideal for people who enjoy extreme sports or mountaineering, as they have been constructed to survive and perform in almost any environment. They can absorb shock better than other cameras, are weatherproof and waterproof and are durable over a number of years of hard use while still providing high-quality images. The main difference between DSLR cameras and point and shoot cameras is the interchangeable lenses or fixed lens. DSLRs have the ability to swap lenses, which enables photographers to shoot in any situation with a single camera body. For nature photography, sports or wedding photography, they can put on a telephoto lens to get close to a subject, but they can also put on a wide angle lens and do portraiture or landscape photography. This ability also necessitates a lot of expensive equipment and technical knowledge, which not everyone has or wants to devote to their photography needs. Point and shoot cameras are also called fixed lens cameras, and don’t have the ability to change lenses. While there are other differences, like the customizable settings and sensor size, etc., this is the main defining feature that differentiates the two. DSLR cameras also have more accessories available beyond lenses, like external flashes and flash remote controls. The way photographers view images and frame shots is also different, since DSLRs use a series of mirrors to reflect the image directly from the lens to the viewfinders. Point and shoot cameras don’t tend to have viewfinders at all and display a preview on an LCD screen on the back of the camera. While camera phone quality is improving to the point that they are starting to occupy a similar space to point and shoot cameras, they can’t quite achieve the quality that basic point and shoot cameras can. If you find yourself in situations where you take a lot of photos but don’t want to commit to a budget DSLR, we recommend purchasing a dedicated camera to take most of your photos and saving your phone camera for quick photos of your pets or your friends on nights out. While there are many brands that make point and shoot cameras, there are five top brands that have been making them for decades and consistently release reliable, high-value products that you can be confident will last longer and give consistently good performance. The first two brands are Nikon and Canon, which makes sense since they also are the top two manufacturers for DSLR cameras. Canon focuses on providing excellent quality at an affordable price, while Nikon also likes to focus on keeping their point and shoot cameras lightweight. The other three brands are Fujifilm, Samsung and Olympus. Fujifilm tends to focus on cutting-edge technology and loads their small cameras with as many features as they can, while Samsung likes to combine high-quality features with affordable prices. Olympus is known for high image quality and sleek, stylish camera designs. While you may develop a favorite manufacturer among these five brands, they all tend to be consistent and reliable. We recommend starting by looking at these manufacturers and then narrowing your search to cameras that are specifically a good fit for you. The biggest advantages that point and shoot cameras have are size and price. They cost a fraction of what DSLR cameras cost and are often compact enough that you can carry them in your pocket. They are also much lighter than DSLR cameras, making them extremely portable even on long trips. While phones tend to be similar in size and weight, point and shoot cameras cost significantly less than most smartphones with decent cameras, which is why we like to have a dedicated camera to take with us. If you lose your point and shoot skiing or drop it while climbing the Eiffel Tower, the biggest issue will be the photos that are potentially lost. It will be much cheaper replacing a $200 point and shoot camera than your $800 iPhone. The fixed lens can also be an advantage, since it is harder to break than detachable lenses and cheaper to maintain. Purchasing multiple lenses get expensive quickly, so a fixed lens that works in a number of diverse situations is just what many photographers need. Point and shoot cameras also tend to have a huge depth of field, meaning they can’t separate the foreground from the background like a DSLR can. This can be great for travel photography but can also be a downside if you want this ability. As we just started to mention, the large depth of field can be a blessing or a curse. If you want the ability to create a bokeh effect or separate subjects from the background, you likely can’t do this with a point and shoot and will need a DSLR or an iPhone X with a portrait mode. While your entire scene is sharply in focus, you don’t have the option to isolate a subject like you do with a smaller depth of field. Point and shoot cameras also have smaller sensors than DSLRs, which means they take lower-quality images even though they have more megapixels in many cases. They also aren’t as adaptable, and don’t have upgradable software or hardware like more expensive cameras do. Since there aren’t many accessories available, you can’t customize your setup like you can with a DSLR. The limited control can be a benefit for people who want to be able to press power and go, but if you have a little more knowledge and want to be able to control your shoot more, this feature will be endlessly frustrating to you. They also don’t do well at nighttime and can’t capture crisp images that isolate a subject at night. Since you can’t control your settings manually, you also can’t force the camera to focus on one lit subject and ignore the dark backdrop like you can with a DSLR. Point and shoot cameras also can’t shoot very quickly or in quick succession, meaning they perform poorly for sports or action photography. 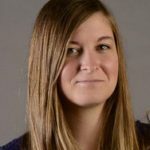 If you plan on using your camera for more serious applications or you want to sell photos, you should definitely look at a DSLR. Since you don’t have the ability to control your settings as much as you do with a DSLR, many point and shoot cameras will come with preset modes that you can select when you are photographing. These may include portrait mode, which will have a wider aperture, so you focus in on the person you are photographing and the background blurs slightly, or a sports mode that prioritizes fast shutter speed to reduce blur. Some cameras get even more specific, with landscape mode, macro mode, night portrait mode and more. These are mostly useful for helping your camera to recognize a scene and the type of photo you are taking, and they enable photographers to still capture beautiful images in a variety of situations without tons of technical equipment and knowledge.